Forgiving is love’s toughest work, and love’s biggest risk. 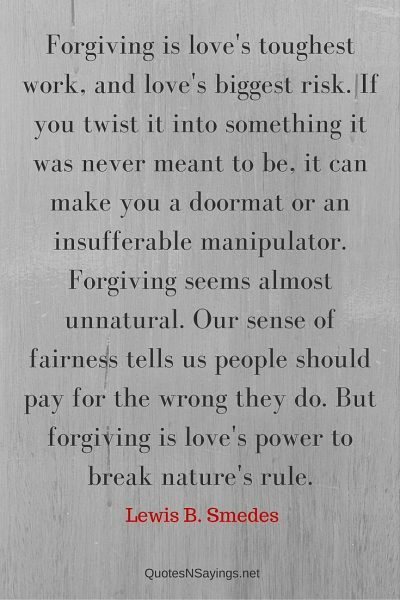 If you twist it into something it was never meant to be, it can make you a doormat or an insufferable manipulator. 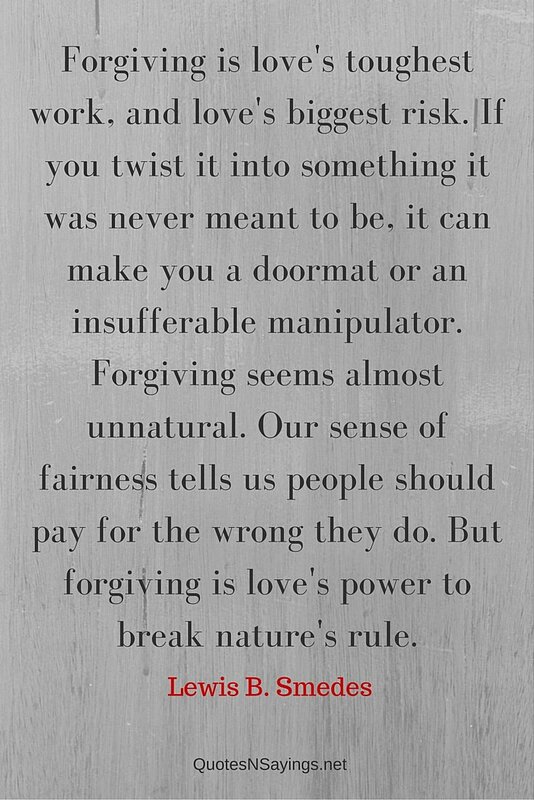 Forgiving seems almost unnatural. Our sense of fairness tells us people should pay for the wrong they do. But forgiving is love’s power to break nature’s rule.